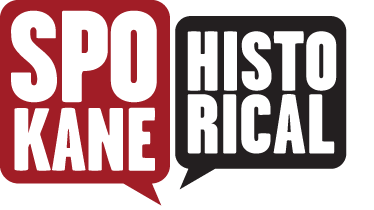 At the turn of the 20th century, Spokane boomed as a wealthy trade and industrial center in the Inland Northwest. Like all growing cities, there was a demand for imported goods. The Crescent Department Store was there to meet the demand. Founded by James Comstock and Robert Paterson, the Crescent planned its grand opening on August 5, 1889. However, the day before the Crescent opened, Spokane's business district succumbed to fire. Spared from damage, the Crescent Department Store opened as scheduled, selling out its entire stock on the first day. Soon after the fire, Comstock and Paterson joined business with James Paine and Eugene Shadle, and formed the Spokane Dry Goods Company in 1895. 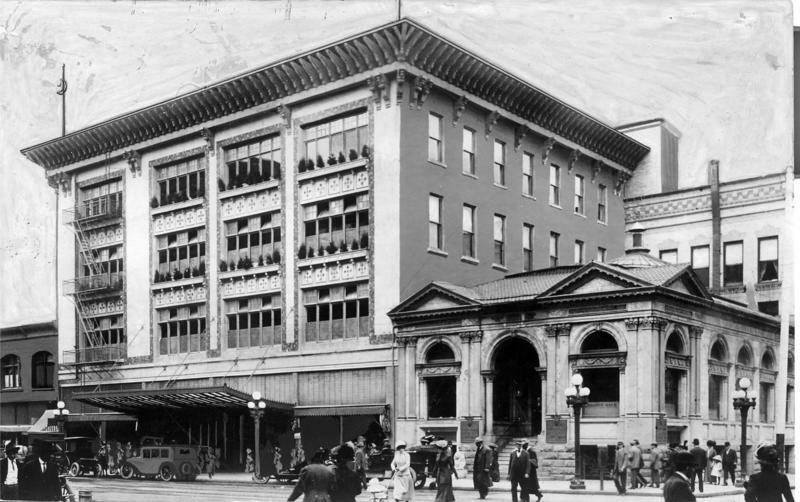 Having purchasing offices in London, Paris, and New York, by 1909, the company's Crescent Department Store was the largest retail store in Spokane, and one of the largest in the region. Seeing the need to store large inventories, the company constructed a large warehouse in 1908. Its position next to the rail line made it ideal for unloading the variety of goods the company purchased for the department store. In 1909, the Spokane Dry Goods Company built a second warehouse south of the building, to serve as the headquarters for the company's offices and realty management. Designed by Loren Rand and built by Fred Phair, the Spokane Dry Goods Company Warehouse was used until 1937, when the warehouse was rented to several wholesale tenants. During WWII, the U.S. Army used the warehouse, and after the war the building again served as the Crescent Department Store's inventory warehouse. Renamed the Crescent Service Building, the warehouse was used into the early 1990s when the company was dissolved. Today, you can still reminders of the building's connection to the Crescent Department Store. A painted sign from the 1970s is still visible on the north side of the building. A sign can also be seen above the Lincoln street entrance on the left side of the building. 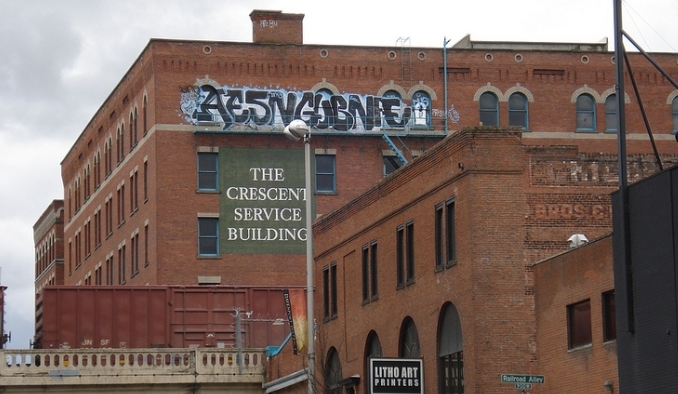 Image courtesy Flickr Commons: Formerly known as the Spokane Dry Goods Warehouse, the Crescent Service building is just one of many commercial buildings connected to the Northern Pacific Rail Road. Image Courtesy the Northwest Room, Spokane Public Library: The Crescent Department Store became one of Spokane's most successful businesses after it was spared in the 1889 fire. Anna Harbine, “The Crescent Service Building,” Spokane Historical, accessed April 24, 2019, https://spokanehistorical.org/items/show/423.